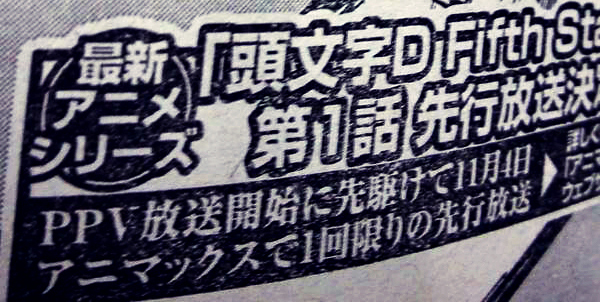 Young Magazine has just announced that Fifth Stage's air date for Episode 1 will be moving forward to November 4th, 2012 instead of the 9th. This is a great news!! The wait is even shorter now! As of right now, our timer shows that only 57 days left until November 4th, 2012. Oh sideways, get outta here silly! We have been having celebratory woots for the past forever since Fifth Stage was announced. On a side note, where have you been? I haven't heard from you in ages!